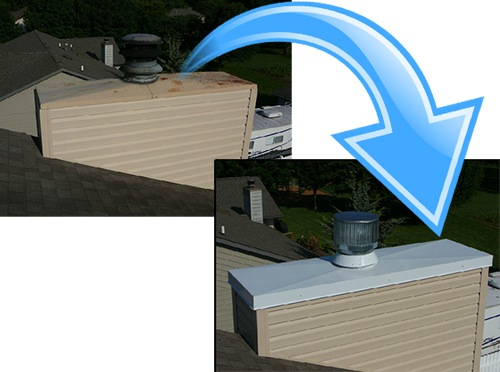 Cheap builders use galvanized sheet metal chimney housing crowns that runs and leak water within 8 to 10 years of use. We replace these rusty crowns with painted heavy duty custom aluminum crowns that will last as long as the house. These crowns will not rust or stain and add a beautiful touch to your chimney top with superior strength to outlast storms, heavy snow, and ice.